I used two excellent online tutorials and they turned our purdy good, I reckon. 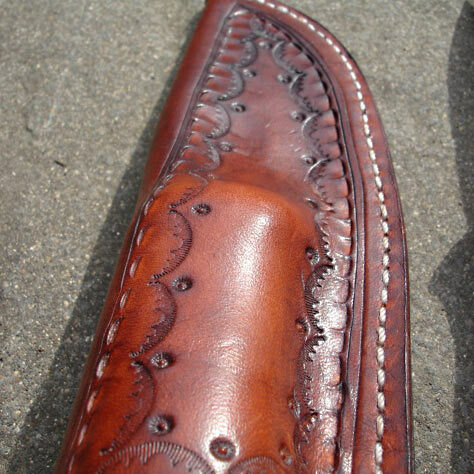 Leather stamping is quite addictive, too, I found out… as did my wife and kids! I’ve used the knife plenty of times already and love it. Have also settled on soft rush being my favourite “go to” firesteel lighting tinder; that stuff is everywhere and is just brilliant at taking sparks. This entry was posted in Bushcraft Clothing & Equipment, Customer Posts on April 5, 2012 by Woodlore Team. That is a crackng Knife Stan. There’s nothing better than making your own knife is there. 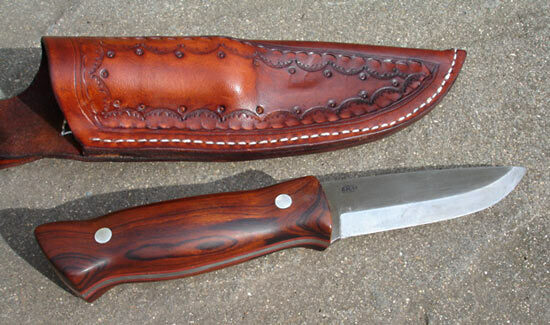 Your knife & sheath look great. What were the online tutorials that you used ? yeah that looks really good work. Well done and thanks for sharing! your first knife? that’s insane. Well done! 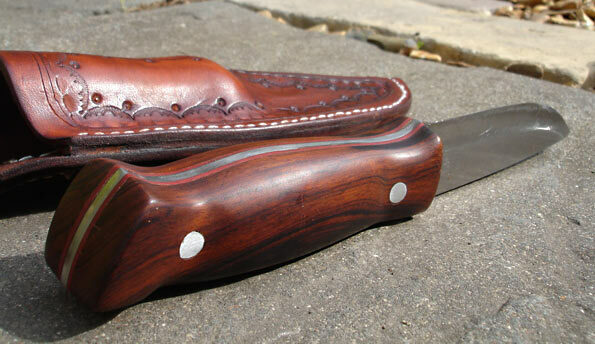 Thats not only a practical bushcraft knife, thats a work of art. Thanks for showing the pictures. That is really nice. Well done.